The Allied pilots who flew the fighters and bombers of World War Two were often first taught to fly in the American Stearman biplane. 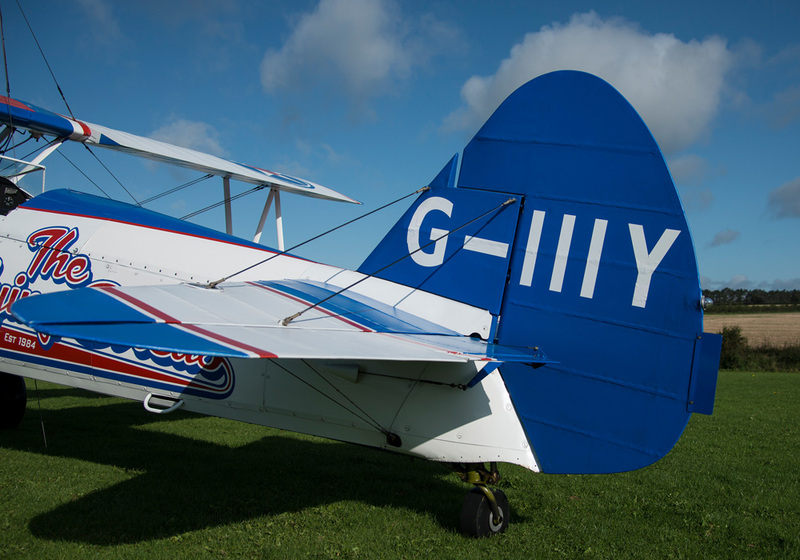 It was designed from the start as a ‘primary’ trainer, stable enough in the air not to catch out novice flyers and rugged enough to survive clumsy landings. The Stearman first flew in 1933. By 1938 the Stearman Aircraft Company had been taken over by Boeing, but the name stuck. Sales were initially modest, but the coming of World War Two transformed the market and about 10,000 Stearmans had been built by the end of the war in 1945. It should come as no surprise that the design harks back to what Biggles might have piloted when dogfighting the dastardly Red Baron over the Western Front in 1918. 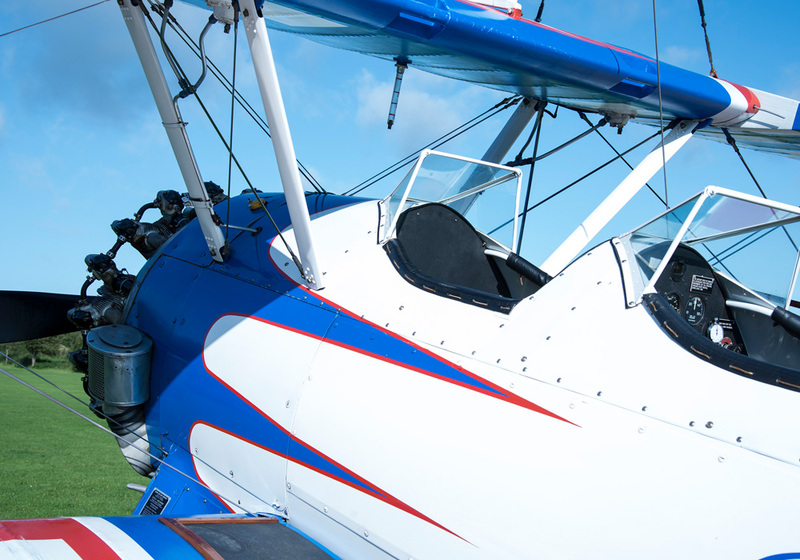 The Stearman first took to the air just 15 years after World War One had ended, and its design continued the tried, tested and well-understood features of the aircraft of the day. It has two wings to increase lift (at the expense of high drag). The fuselage is a welded steel tube and the wing spars and ribs are made of wood. Both are covered in fabric. (Originally it would have been ‘doped’ – or varnished – to tauten it. The Breitling Stearmans are covered in a plastic material, which is tightened up with a domestic hot iron – rather like ironing a vast shirt.) The fixed undercarriage can take plenty of punishment. 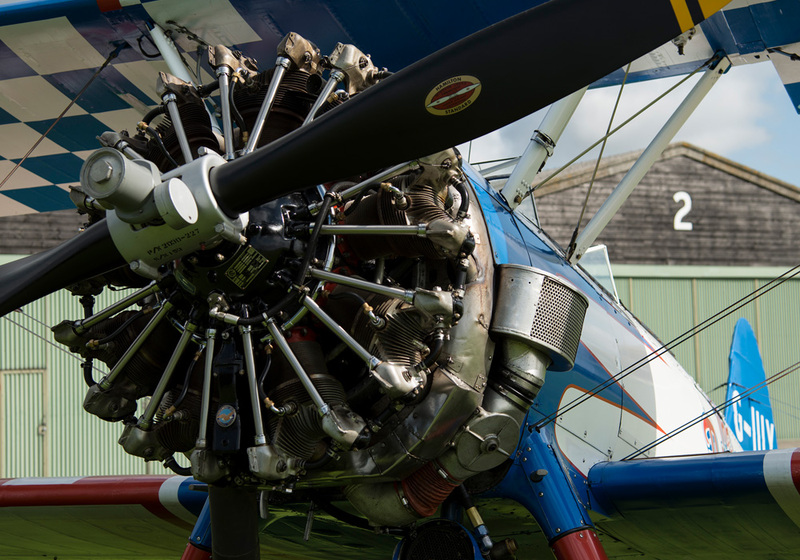 A radial engine powers the airplane, driving the propellers so fast that their tips break the sound barrier, giving the Stearman a distinctive rasp as it banks and rolls overhead. Other pilots bought them to recreate the barnstorming acts of the 1920s and 1930s, a tradition that continues to this day, nearly seventy years after the last Stearman rolled off the production line.When the war ended thousands of Stearmans came onto the civilian market. Often they were fitted with tanks and nozzles for agricultural ‘crop dusting’ duties. In a roundabout way this led to the Stearman’s most famous appearance in the movies, when Cary Grant is chased by a machine gun toting crop-duster in Alfred Hitchcock’s classic thriller, North by Northwest. The airplanes that make up the Aerosuperbatics Wingwalking team are not stock Stearmans, though. There are no controls in the forward cockpit because the wingwalkers need to climb out and up – unimpeded by a control column – onto the upper wing before they can begin their act. (If they travelled from their base to air shows on the top wing they would be exhausted and frozen by the time the display started.) And although the ladies of the team are breathtaking in their elegant athleticism, in aerodynamic terms they are giant air brakes – their bodies create a great deal of ‘drag.’ So the engines are considerably boosted to punch that assembly of wings, wires, struts and ladies through the air. Standard Stearmans have a 220 horsepower engine. The ‘Super Stearmans’ of the Breitling Wingwalking team are driven by 450 hp radials. That mighty extra power means the pilots don’t need to gain energy for manoeuvres by continually diving, then climbing for altitude in order to dive again. All the energy they need is bolted to the front of the aircraft. Supercharging performance like this transforms a sedate primary trainer into a dazzling circus performer, ready and willing to thrill air show crowds with electrifying barnstorming displays. He formed the Stearman Aircraft Company Inc. alongside Fred Hoyt and Mac Short in 1927.